The perfect chord dictionary for banjo! Where can you find the perfect chords for your banjo? Right here! Learn how to play banjo chords with BanjoChordsCompass Lite, a free app that supports both right-handed and left- handed players and has retina graphics and adjustable volume, as well as authentic banjo sound. 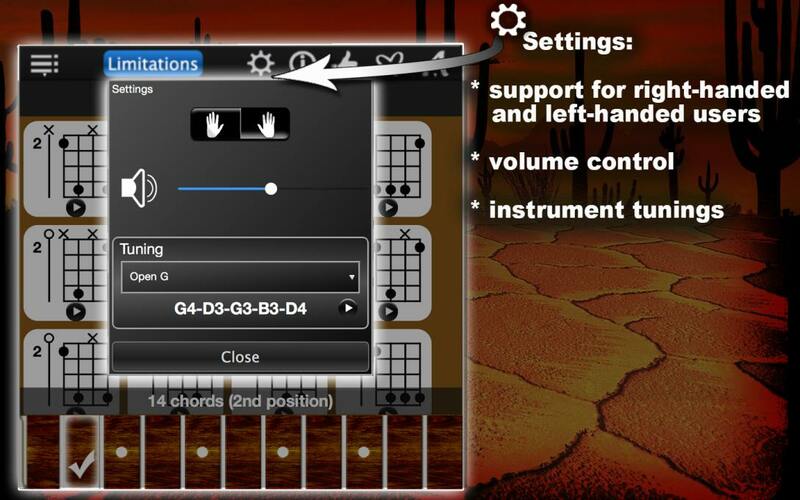 This banjo learning software is also compatible with GarageBand smart instruments. 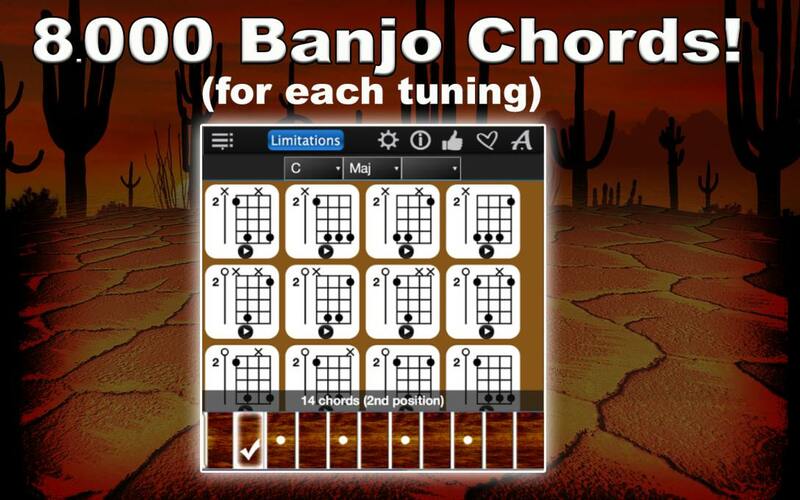 BanjoChordsCompass Lite can show you chords for all the common banjo tunings. 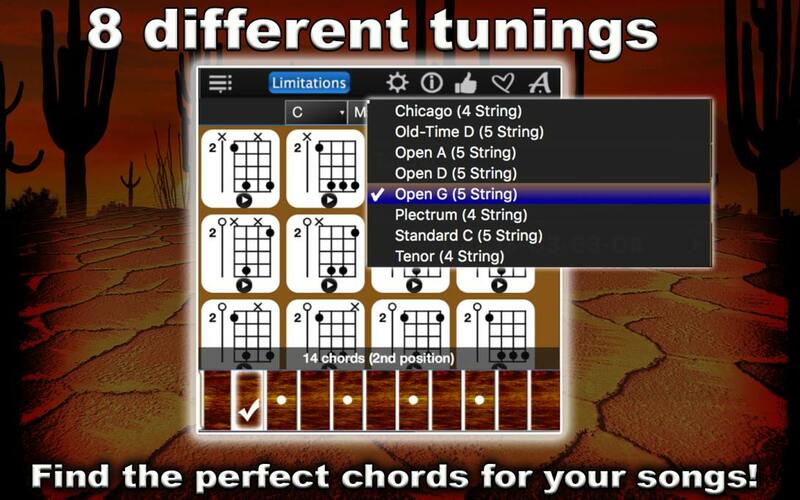 It lets you explore the chords for 4 of the keys on the banjo fretboard (C, C#, D, D#). 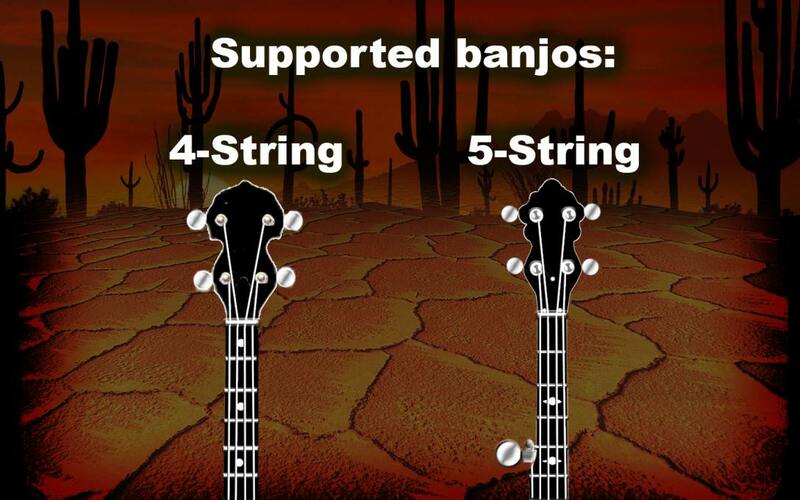 You can listen to all those chords with authentic banjo sound, learn their music notes and finger positions on the virtual banjo fretboard, or create your own banjo sheet music. If you need more chords, upgrade to BanjoChordsCompass, the full version of this app, and enjoy all the chords you can possibly play on banjo! This is how you select a chord: first, you select a key on the left, then,the chord type in the middle, and then, if you want, a chord type addition on the right. 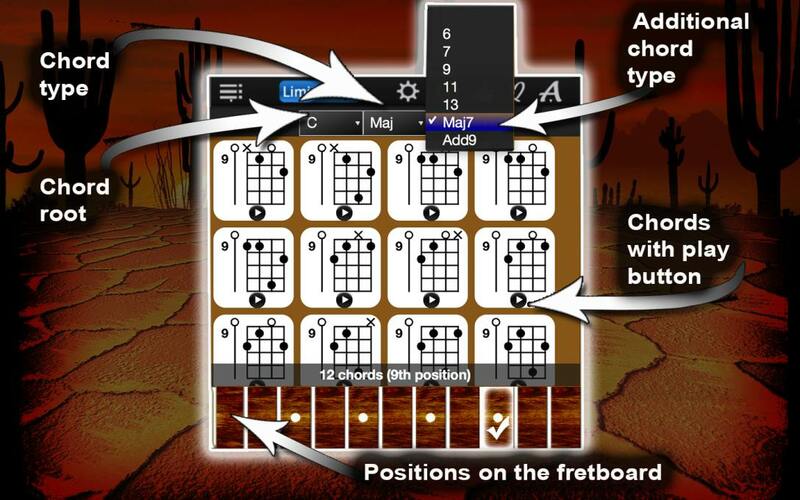 Now, click on the virtual banjo fretboard and select a position for your chord. BanjoChordsCompass Lite will show you all the chords in this position. Play all those chords with authenitic banjo sound! 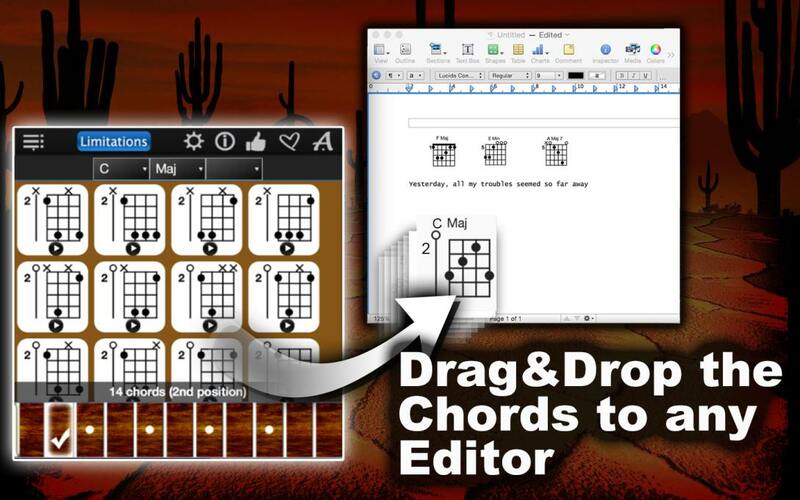 Learn them at your own pace, or Drag&Drop them into an editing program to create your own sheet music for your favorite music pieces or for your future banjo practice sessions. Enjoy exploring banjo chords with BanjoChordsCompassLite! Download it today!